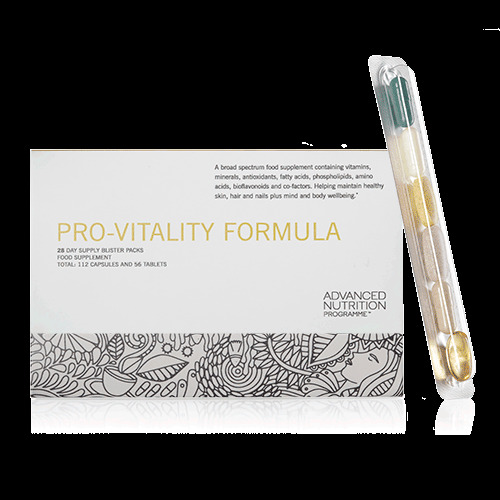 PRO-VITALITY FORMULA | iiaa Ltd | The UK and Ireland distributor of Environ Skincare, jane iredale makeup and Advanced Nutrition Programme. DIRECTIONS: Take the contents of one blister strip daily with a meal or as your health professional advises. 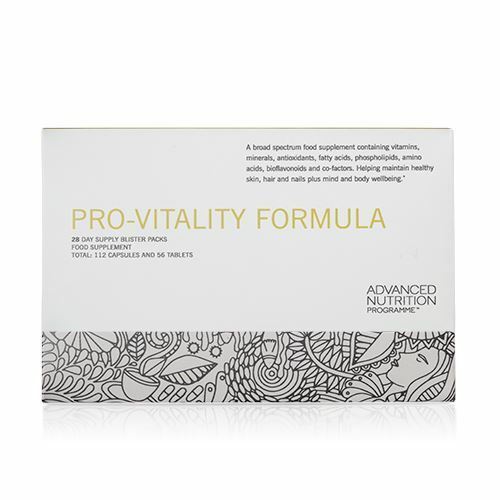 NO ADDED: salt, wheat, gluten containing ingredients, yeast, lactose, dairy products, artificial preservatives, colours or flavourings.